A nice, simple, cheap holiday house, with great location for rent for tourists in Siófok, at Lake Balaton. Fully equipped house. Full-comfort for low price. House Anna Siófok - Affordable private accomodation in Siófok downtown, near to the Lake Balaton beach for rent. The house is located in a quiet, elegant, peaceful street in Siófok, but every necessary facility can be easily reached from there - max. 5-10 minutes of walk (main square, beach club, port, shops, market, restaurants, beach, wellness). The owner does not live in the house. The vacation home is perfectly suitable for up to 6 persons. The holiday house has 1 living room, 1 kitchen (equipped with refrigerator, microwave, oven, coffe machine), 3 bedrooms, 1 bathroom, + 2 separated toilets, 1 terrace, 1 balcony, garden and grill equipment. Suitable for families or small groups for relaxation during the hot summer days. Full-comfort apartment for a reasonable, low price. - Click on the picture for our PROMO VIDEO - Private accommodation Siófok, holidayhouse Anna! 01. July 2018 - till 15. July 2018. - How can you rent this house? - Our private house can be rented directly from the owner. - Check in - You can take the clean house at 15:00 on the day of arrival. On the last day, you should leave until 9:00 am. - Payment - You can pay on the day of arrival - the whole amount in CASH - directly to the owner. You get the keys after the registration. The price includes all costs - water, gas, electricity, cleaning and the use of all equipments of the house. - Local tax - Apart from the rental fee, every adult guest should pay the tourist tax - which is established by the city council - 400 HUF/ adult /day (1,5 EUR). - About the terms: The neighbourhood is quiet, peaceful, so we recommend this accomodation mainly for those, who would like to relax. The owner does his best to provide all comforts for the guests, but the guests are also expected to respect others living or staying there and do not cause inconvenience with their behaviour. For booking please contact us on phone (in English) or fill in the form! ASK FOR AN OFFER OR BOOK! 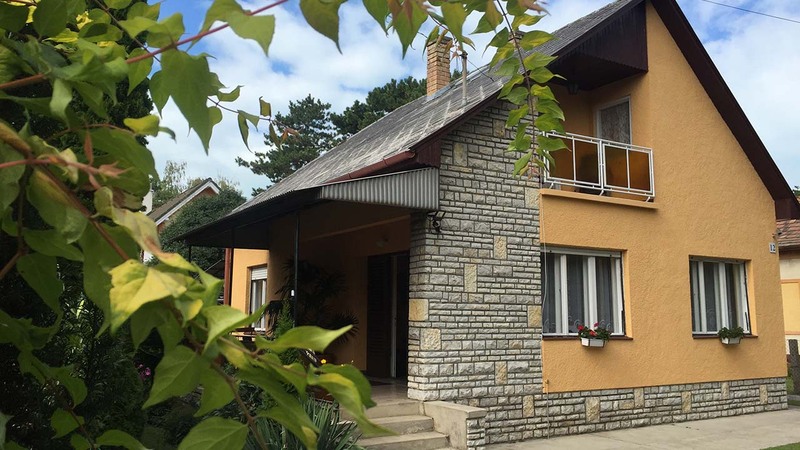 Private accommodation, house in Siófok for rent - for 6 pers. The Family Bokros would like to welcome you to the House Anna in Siófok! The house can be rented as a tourist accomodation. Located in a peaceful, unfrequented street, close to the city centre and facilities (Main Square, beach, Beach House, Petőfi venue, port, shops, restaurants) approx. 5 -10 minutes of walk. Only 1 room can not be taken - not available ONLY for a weekend. Our accomodation is perfectly suitable for families and smaller groups for a holiday BUT NOT FOR WEEKEND PARTY TOURISTS! 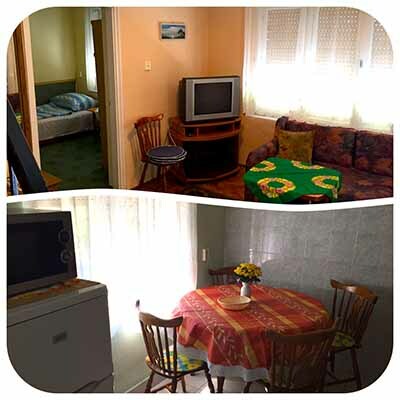 Tidy, neat and comfortable house in Siófok for a fair price. The private accomodation is ideal for maximum of 6 persons (90 m2). The house has 3 rooms with double beds, fully equipped kitchen (refrigerator, microwave, coffee machine, oven), livingroom (TV, cable TV - english and german chanels - WIFi, WLAN), bathroom +2 separated toilets, terrace, balcony, garden with free room for cars, grill equipment. Accomodation is reserved only for guests, the owner does not live here. The price does not include the local tax. Parking: there is a closed parking place on the yard for 3 cars. Simple, well-equipped, comfortable in the hearth of Siófok. The house owner speaks in English. Welcome to Siófok! Your landlord is the owner of the Siófok Taxi company. Besides Hungarian he speaks English and German fluently. During your holiday in Siófok he offers different programs to make your vacation more interesting. Excursions - Scenic Tours, Sailing on the Lake Balaton, Balaton Round Trip, Budapest Sightseeing, Airport Transfer between Budapest Airport and Siófok (taxi and mimivan). Excursions, scenic tours for smaller groups with English speaking driver. Day trips from Siófok and Lake Balaton for small groups: Budapest Sightseeing, Danube bend, Pusta, Winetasting programs. Budapest scenic tour - one of the most popular day-long trip among the foreign tourists. The Danube-bend fascinates everyone. An intense day-long trip with a wide range of programs. Destinations in order: Siófok - Esztergom - Visegrád - Szentendre - Budapest - Siófok. Experience the unique and romantic atmosphere of the puszta! 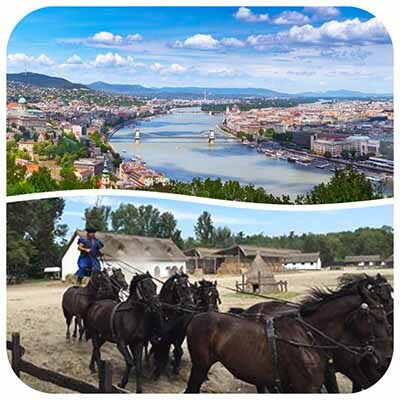 Horse shows, horse-carriage trips, traditional hungarian hospitality and live folk musicians. The real essence of the country! 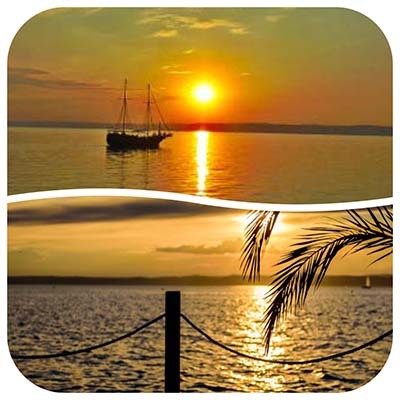 Excursion around the Lake Balaton - exclusive minibus scenic tour. Balaton round trip, visiting the most beautiful part of Hungary. Siófok, Balatonfüred, Tihany, Badacsony, Szigliget, Keszthely, Hévíz, Fonyód, Balatonboglár, Zamárdi. 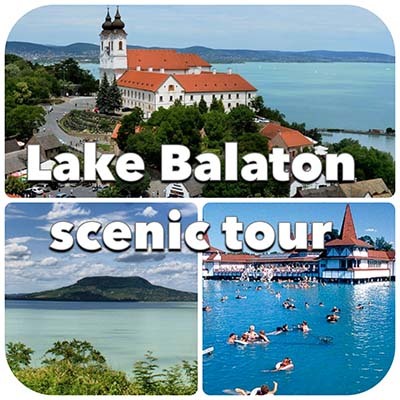 - For smaller groups, we offer an exclusive scenic minibus tour around the Lake Balaton, including the most interesting traditional cities and villages surrounding the lake Balaton. If you prefer to relax, pour yourself a glass of wine and enjoy the stunning landscape, hot springs, spas or visit historical places, castles or museums.